We knew each other in high school, graduated together …. 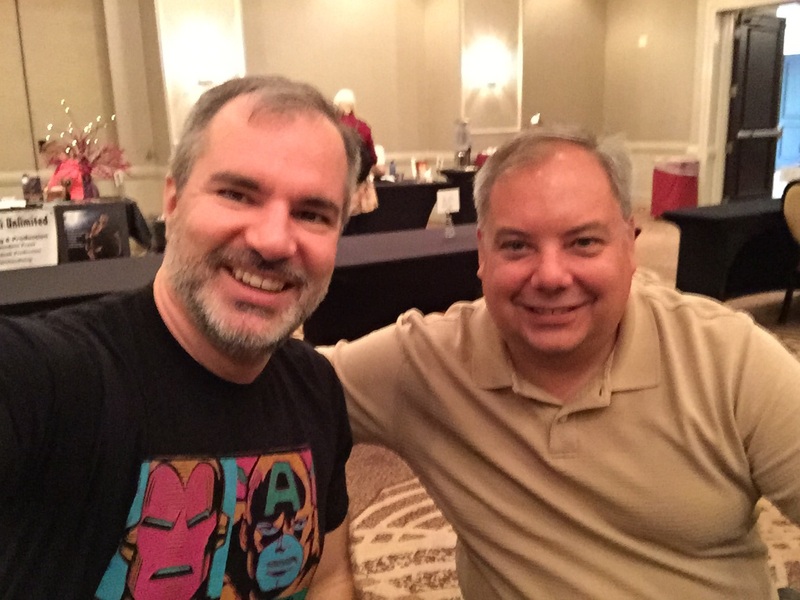 Peter V. Brett, @PVBrett, author of The Warded Man series and more, tweeted that he was in Orlando for the SFSE2015 conference. Hmmm ….. that’s only 3.5 hours. It always cool to catch up with people from high school and college. I grew up in New Rochelle, NY and many stayed in that area. Here in Miami, FL it seems to be just me lol. He mentioned he would be in Author’s Avenue from 10-Noon. So at 630am I was enroute. We ended up chatting for about 45 minutes and naturally we spoke about being an author and publishing and so forth. With the things he learned in that book he dusted off his fourth attempt at storytelling, cut 2/3’ds out of it, rewrote and shortened the story. That fourth book, the one his agent was able to sell to Random House, was The Warded Man.